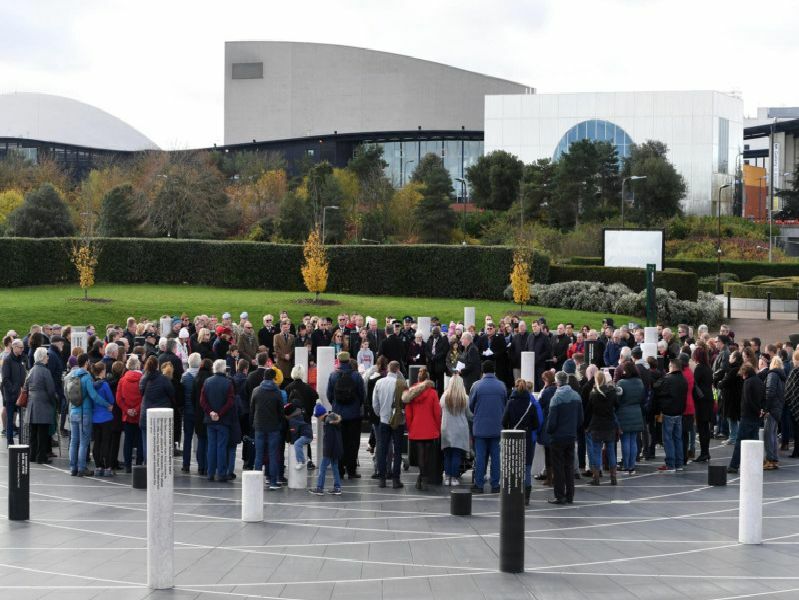 Young and old gathered alongside dignitaries at a special wreath laying ceremony to mark Armistice 100 at MK Rose in Campbell Park. The ceremony was followed by a two-minute silence led by the Cenotaph Trust and a beacon lighting ceremony in the evening to commemorate 100 years since the end of the First World War. Here we bring you some of the most poignant pictures from the ceremony. A short commemorative service was held from 6.45pm with choir and readings at the Milton Keynes Rose followed by lighting of the Campbell Park beacon and specially commissioned fire sculpture, coordinated by The Parks Trust at 7pm. The event was hosted by the Parks Trust. Julie Dawes, Events & Community Engagement Manager for The Parks Trust, said: This year marks 100 years since the guns fell silent at the end of the First World War, and so across the country around 1,200 beacons, including ours in Campbell Park were lit as part of the Battles Over commemoration." As a further tribute we commissioned a war horse fire sculpture to bring an atmospheric element to the commemorative event.